Digestives are the classic British biscuits to dunk into the afternoon tea and they were first produced to aid digestion as they contain baking soda, which is able to neutralise acids. These cookies are usually prepared with saturated fats, like butter and palm oil, and refined white sugar. 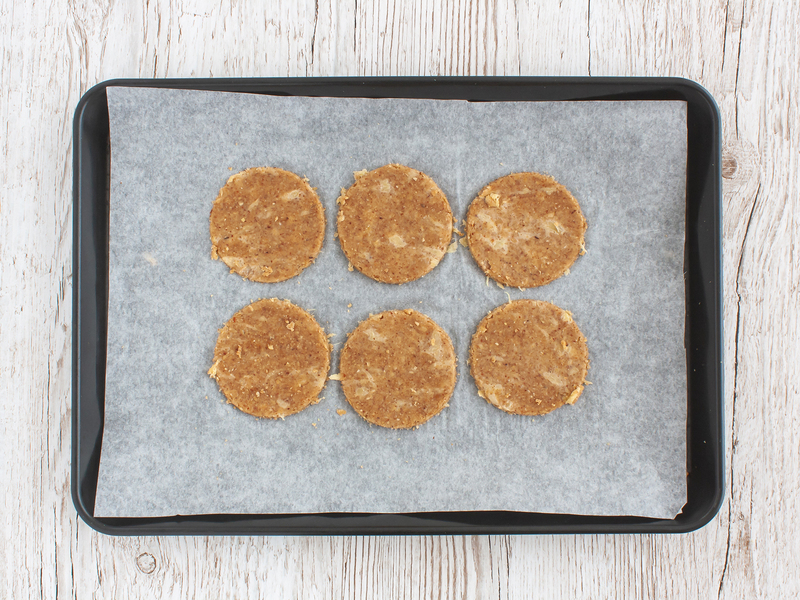 So, today we want to propose this easy recipe to make vegan, gluten-free, dairy-free, and sugar-free digestives which you can enjoy at breakfast, on-the-go or, of course, with your afternoon tea. 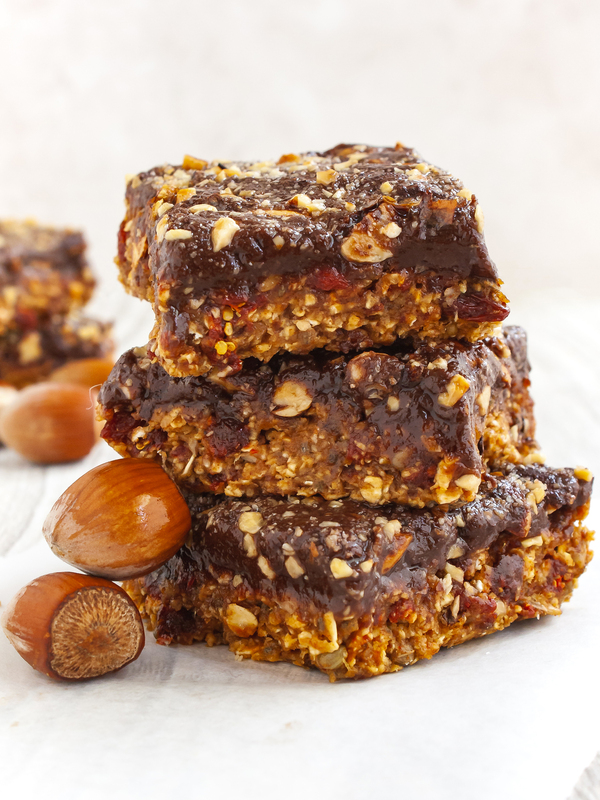 In fact, these cookies are prepared with rolled oat, nuts, and fruit, all nutritious ingredients which provide fibres, healthy unsaturated fats, vitamins, and minerals. 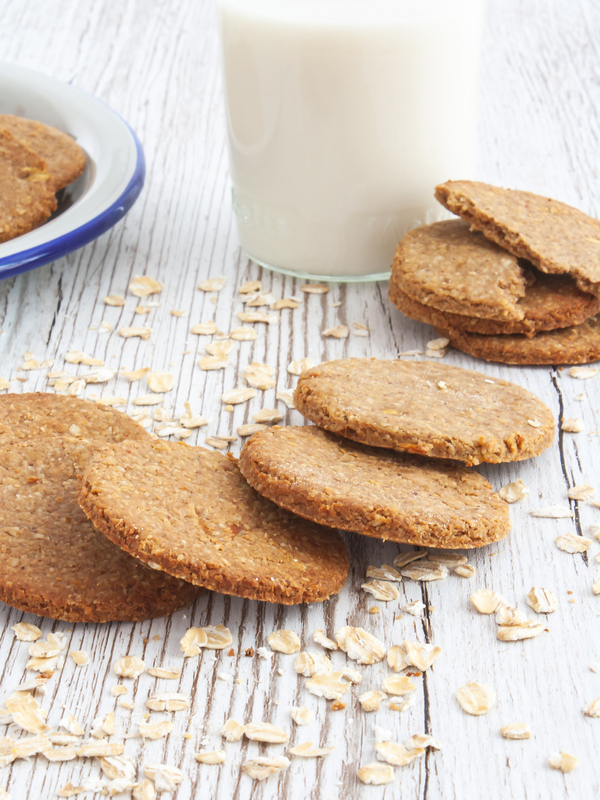 These oatmeal digestives are light, crispy, and semi-sweet, perfect for a healthy treat. 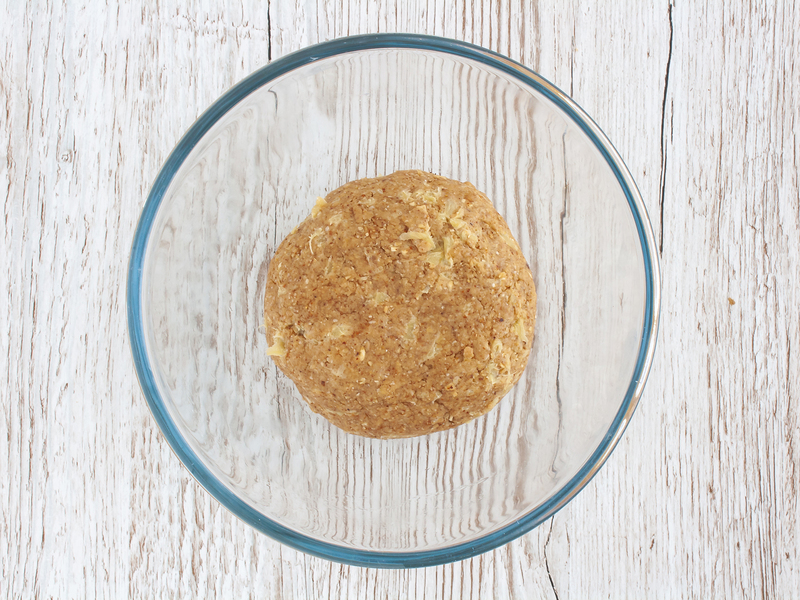 Store these gluten-free digestives in an airtight container for up to 3 days. Note: The default ingredients yield about 24 digestive biscuits of 6 cm (2.3 inches) and servings consist of 4 cookies each. Before you start preparing these gluten free digestives, check out our baking guide for best results! 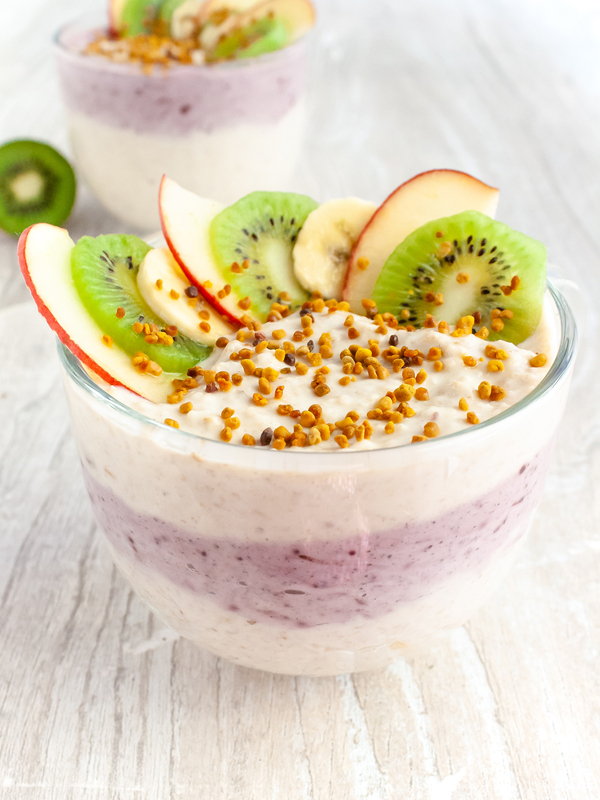 Prepare a ‘flaxegg’ by combining water with ground flaxseeds in a small bowl. Allow soaking in the fridge for 15 minutes. In the meantime, add peeled and chopped apple to a pot and squeeze in the lemon. 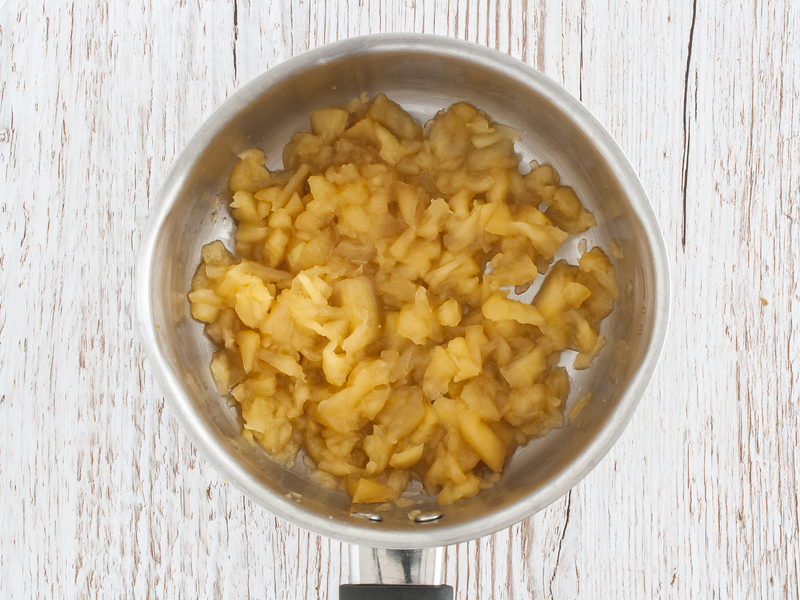 Cover with water and simmer until the apple chunks are soft and you can mash them with a fork. 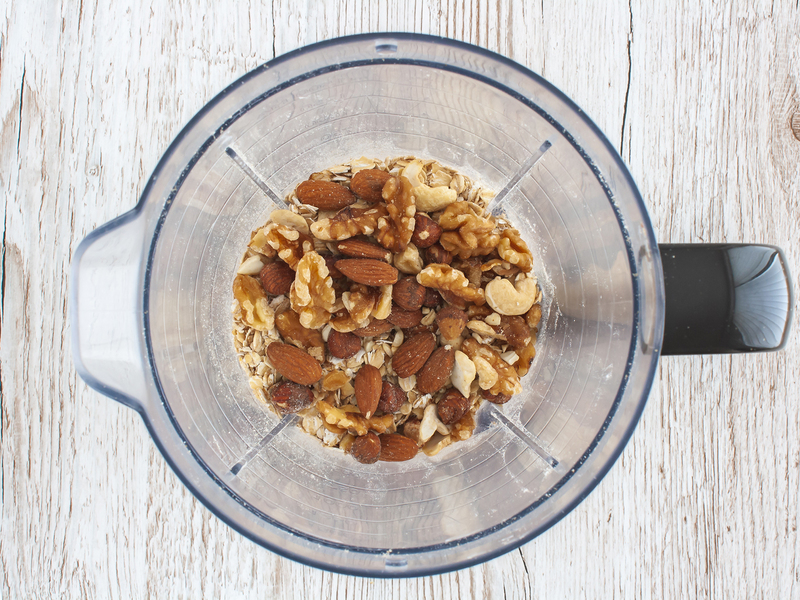 In the blender bowl, add oat and nuts and blitz until you have a coarse flour (1). 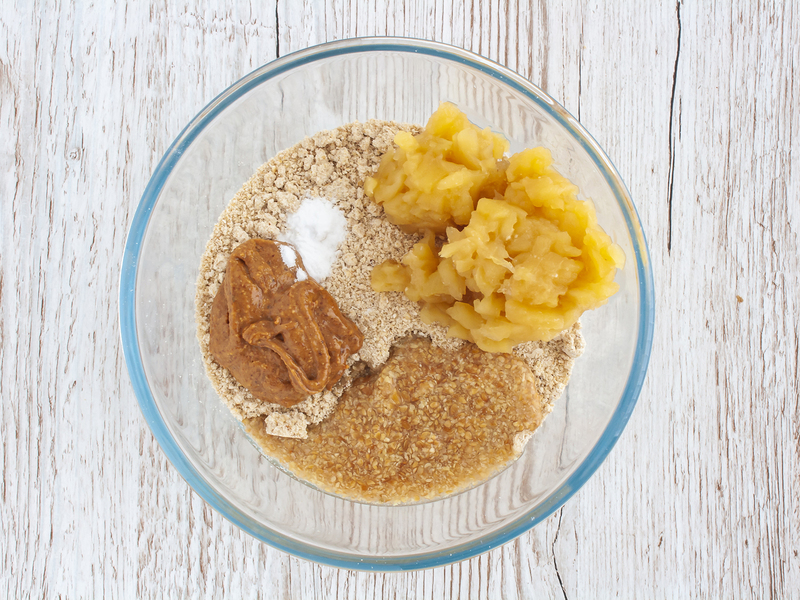 Then, transfer the flour into a mixing bowl and add oil, almond butter, baking soda, the prepared applesauce, and the soaked flaxseeds (2). Quickly incorporate the ingredients with the help of a spoon and then knead the dough with your hands. Make sure the dough holds together and adjust the consistency with a splash of milk, if too dry, or ground oat, if too sticky. 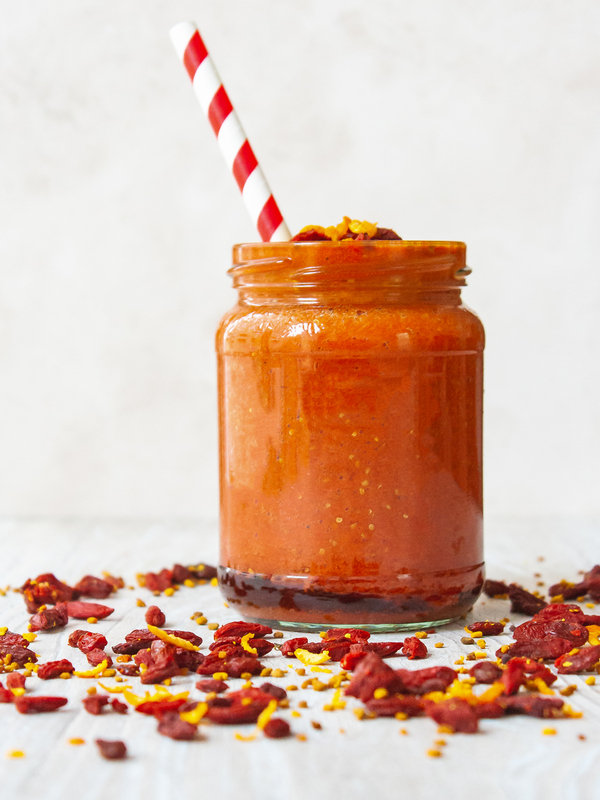 Roll into a ball and cool in the fridge for at least 15 minutes. Roll out the dough between two sheets of baking paper using a rolling pin to a 3-4mm thickness. Then, cut out the biscuits using a circular cookie cutter. Roll the extra dough into a ball and repeat the step above. 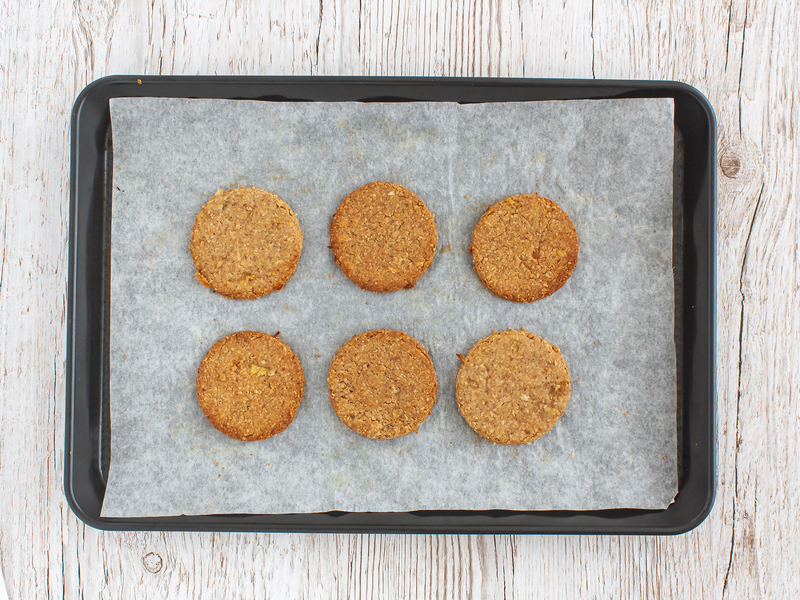 Arrange the digestives over a baking tray lined with parchment paper (1). Bake at 175°C (325°F) for 12-15 minutes (2). Once cooked, transfer the biscuits to a wire rack to cool down and crisp up. 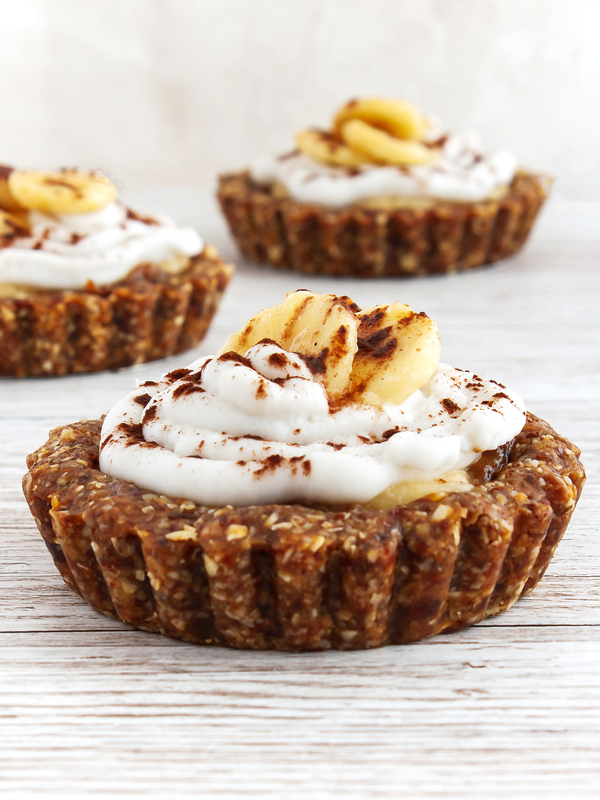 If you prefer a sweeter taste, just add a splash of maple syrup but increase the amount of dry ingredients accordingly.